Please read the job announcement carefully for complete information on the minimum qualifications, application requirements, and the final filing date for the position. Clearly describe your qualifications in detail. Credit cannot be given for education, training, experience, knowledge, skills, and/or abilities that you fail to indicate. You may attach a resume to your application; however, you are still required to submit a completed application. Do NOT write see resume in your work history or responses to supplemental questions. An incomplete application and/or failure to comply with these instructions may result in disqualification.  Before sending your application in to San Joaquin County, it is your responsibility to ensure correctness of all information submitted in the application. If you would like a copy of the application for your records, it is your responsibility to print a copy in the "Review Section". You are required to provide a valid email address. Check to be sure that you receive an email confirming that your application was sent to the San Joaquin County. This email is sent immediately upon receipt of your application. You should receive this confirmation email within one day after clicking on the "Send" button. If you do not receive the confirmation email, it is your responsibility to contact the San Joaquin County Human Resources Division. If you fail to do so, your application may not be considered for the opening for which you have applied. The San Joaquin County Human Resources Division and the developers of the San Joaquin County online employment application system are not responsible or in any way liable for any computer hardware or software malfunction which may affect your employment application or the applicant selection process.